More than 1500 people lined up to start the Rocky River Run this morning. 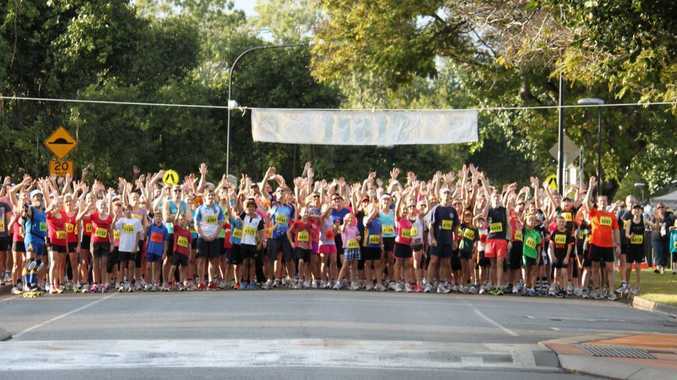 9.30am: More than 1500 people lined up to start the Rocky River Run this morning. The record field enjoyed excellent running conditions as they competed in the 21km, 10km, 5km and 2km events around the beautiful riverbank park areas of the Rockhampton CBD. It was a great sight to see the blanket of runners sprinting down Huish Drive at the start of the combined 2km and 5km races. See results and more photos of the Rocky River Run in Monday's Bully.